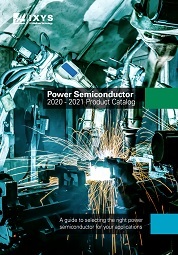 Looking for information on semiconductor theory, cross references, mounting techniques, unique product applications, tech advancements, user guides, schematics or more? Look no further than IXYS' Tech Support Center, which provides answers to common questions, online and on time. This center includes power design seminars and educational tools to help designers/engineers solve product creation challenges. If you don’t find the answers here, please contact live technical support. We strive to provide quick responses to customer queries, helping engineers and designers complete projects.